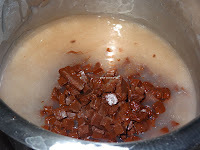 Melt the chocolate over a double boil. Cool it down. 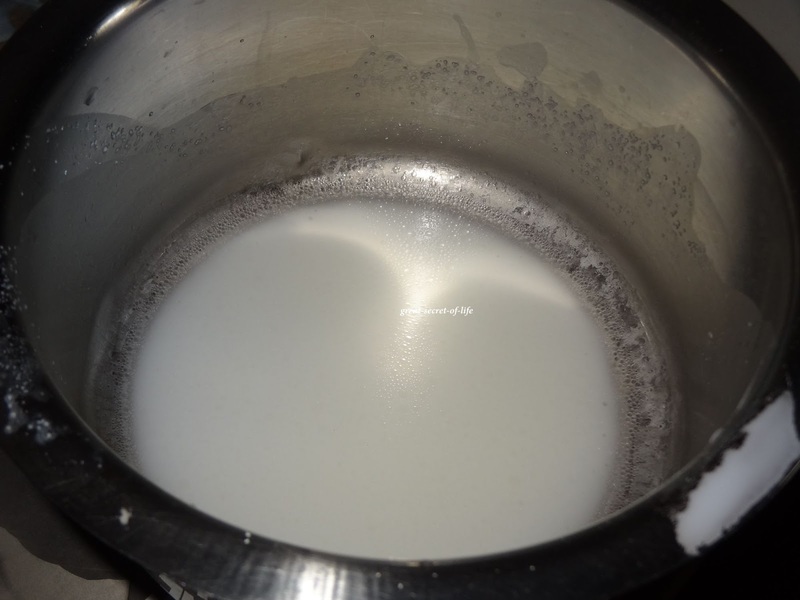 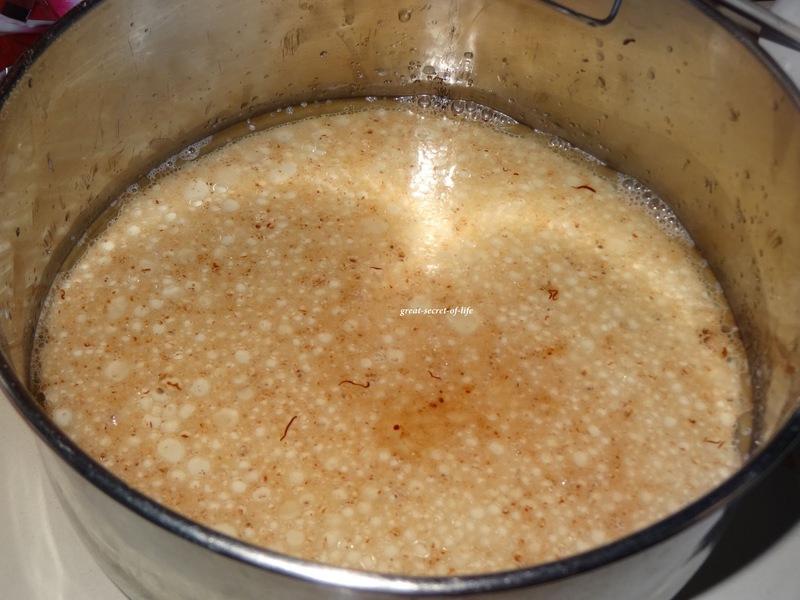 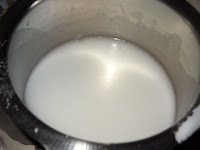 Mix in coconut milk and warm water together and allow the mixture to cool down. 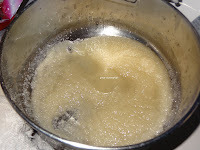 Add oil, sugar mix well. Add Vanilla extract, melted chocolate, coconut milk and mix well till it is smooth and all mixed well. 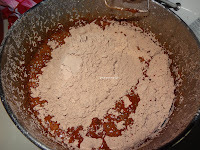 Add in flour in two batches and mix well. 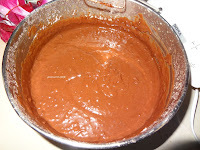 Mix till the batter is smooth. 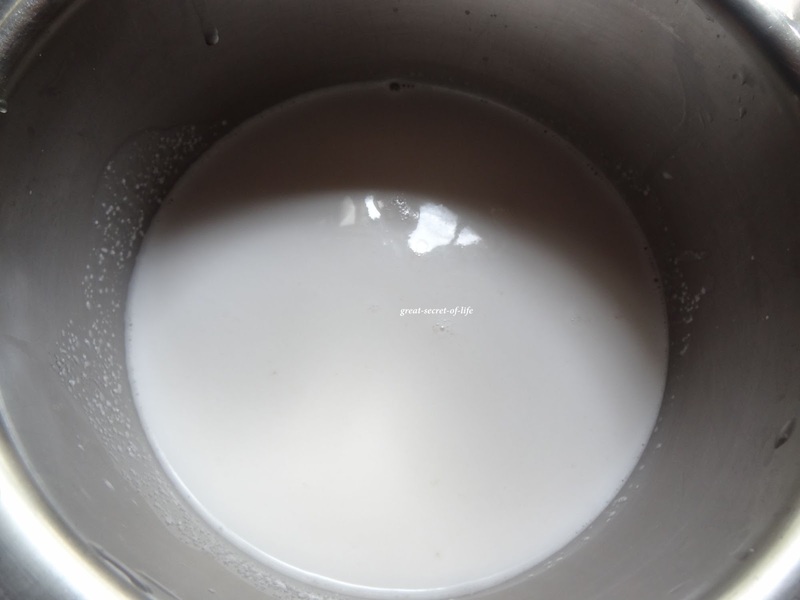 Mix cornstarch with 2-3 tbsp water to form a paste and add it to the rest of the water. 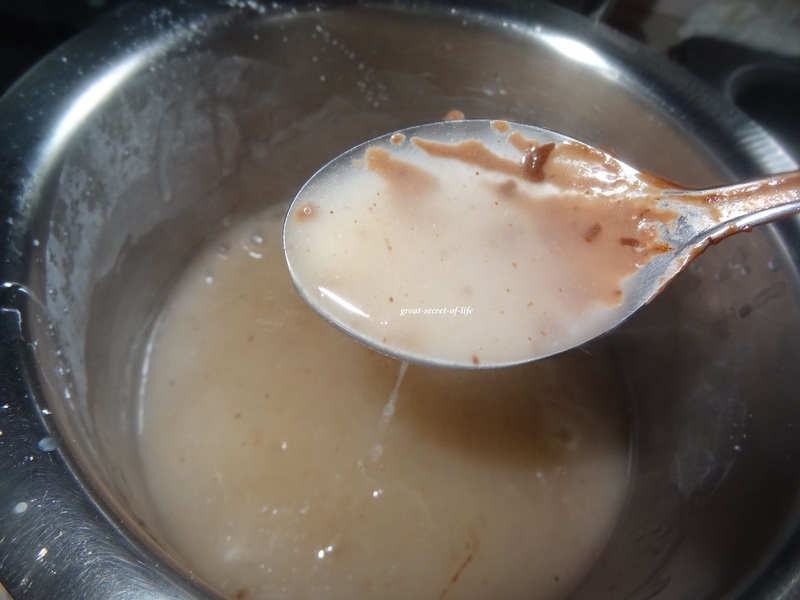 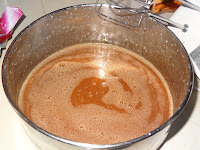 Heat the water and keep stirring frequently until the mixture starts to thicken and coats the back of a spoon. It took about 3 mins for me. 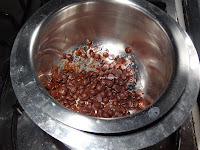 Now add the chopped chocolate, switch off heat and stir continuously until all the chocolate has melted. 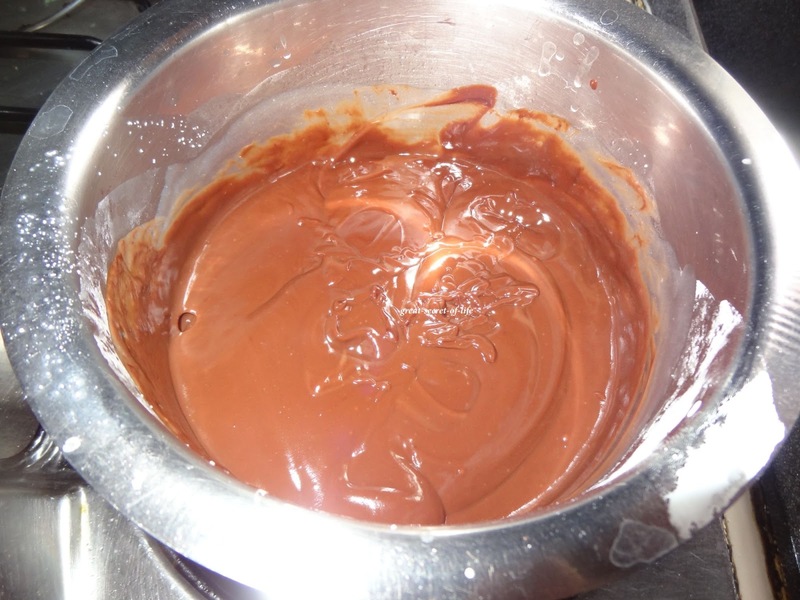 You should now have a smooth ganache ready. Allow to cool down slightly. 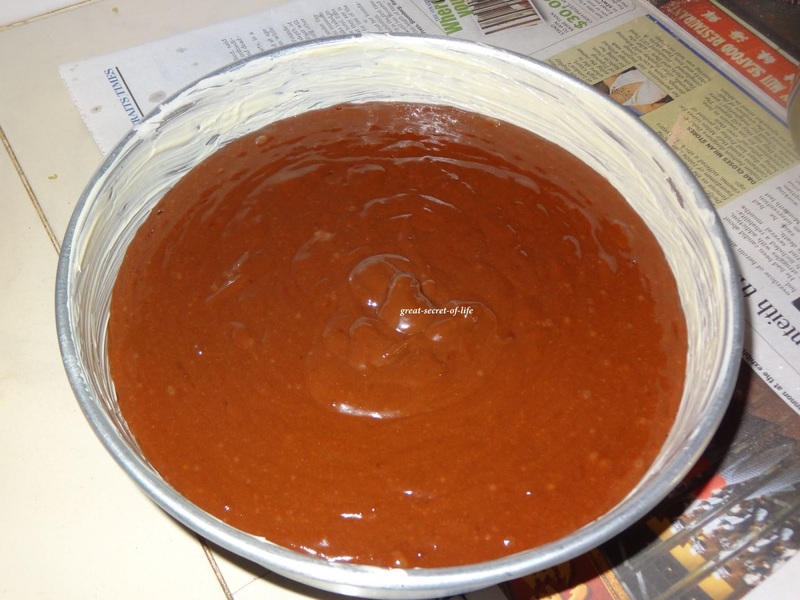 Take 3-4 tbsp of ganache and slightly spread it on one of the cake layers. 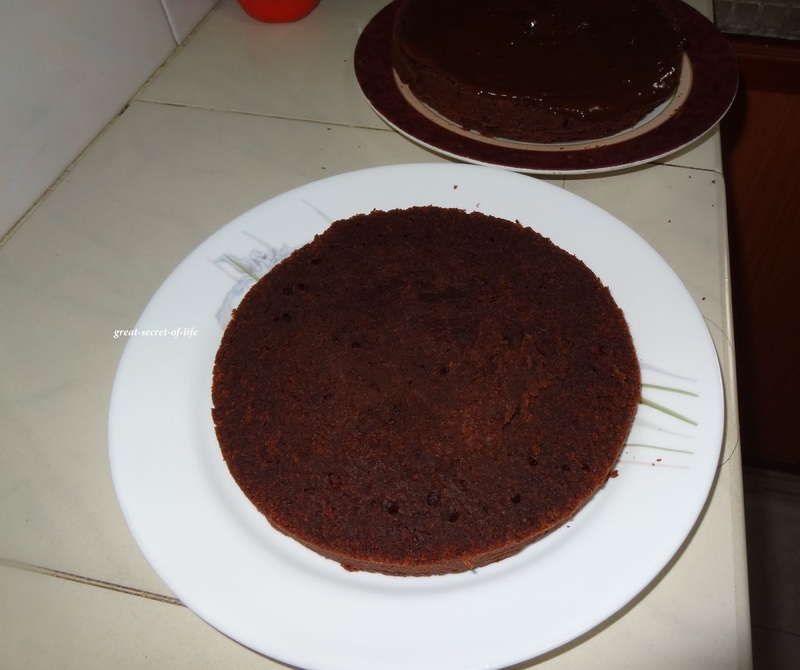 Place the second layer on top of the ganache layer, such that the ganache is sandwiched between the cake. Pour the remaining ganache on the top and slightly spread it to distribute it evenly. 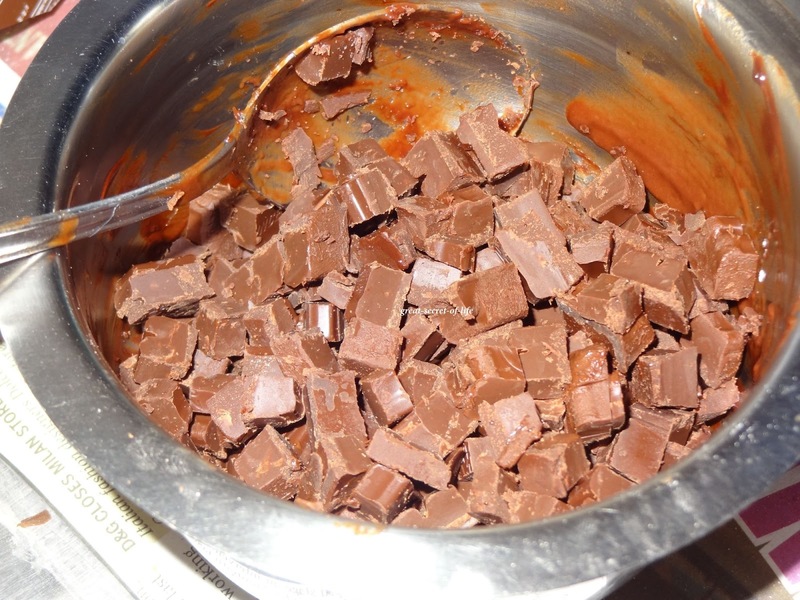 Leave it for a few minutes and cut the cake into bars. 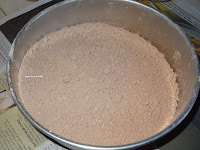 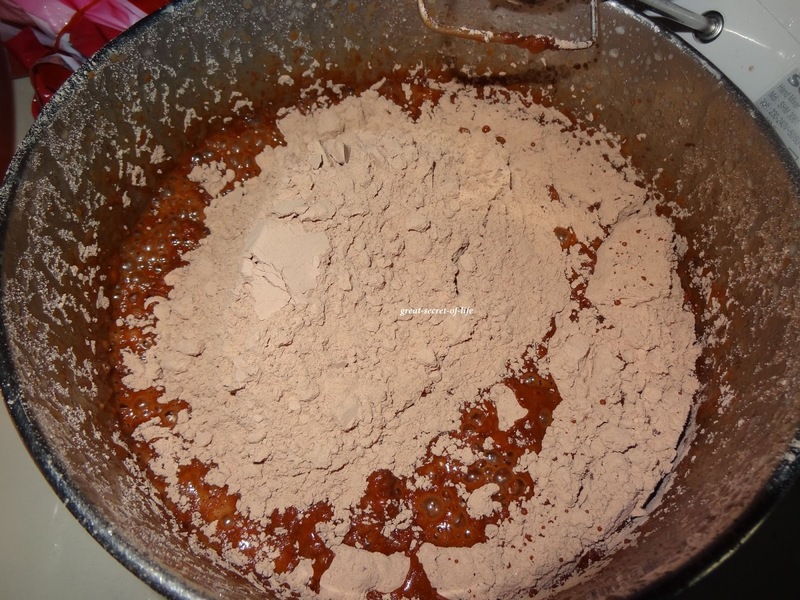 Dust with powdered sugar or cocoa powder. yummy chocolate cake... looks moist..
wowww cake looks super moist!! 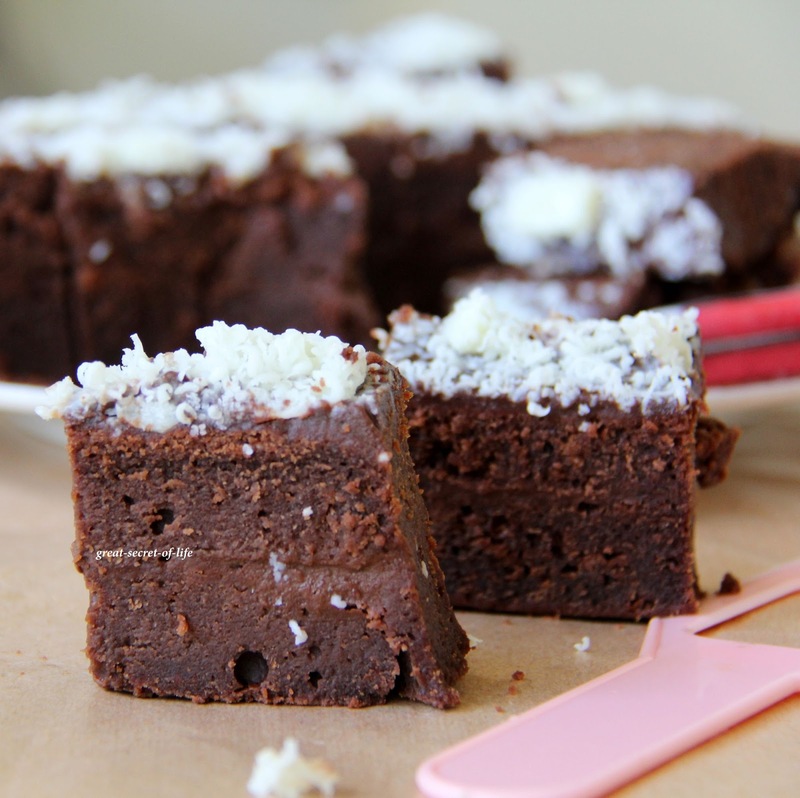 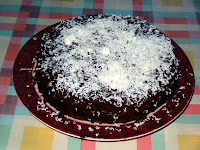 Chocolate cake looks fabulous and yummy..love the addition of coconut milk to it..
thats good ! 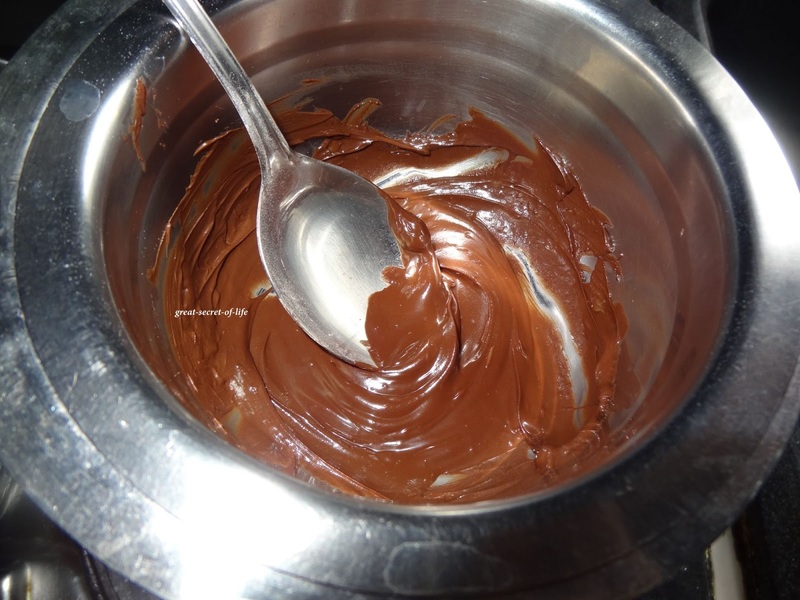 my favorite ! 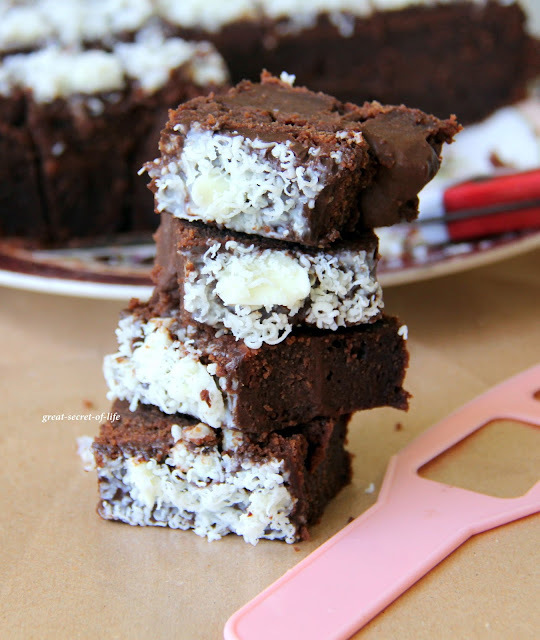 because i like bounty chocolate a lot ! Drooling over your cake.looks so gorgeous. 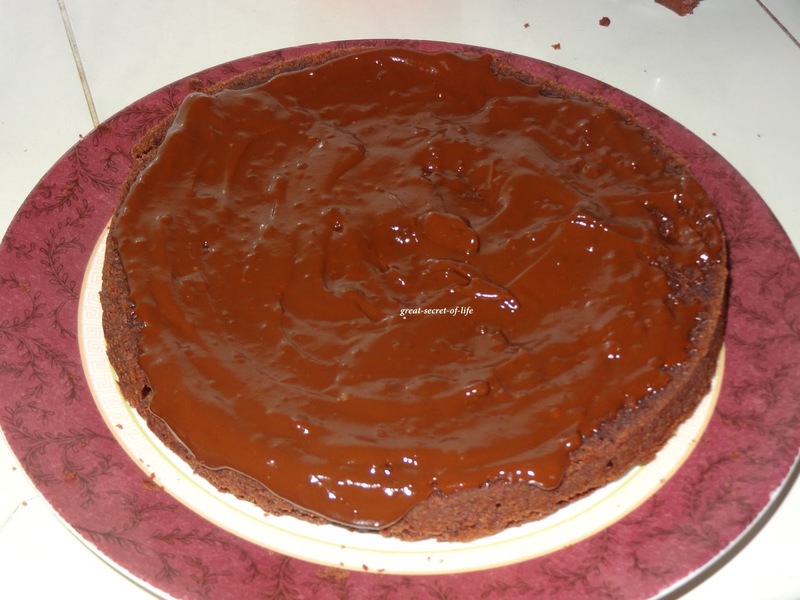 Very inviting and tempting dish...yummilicious! 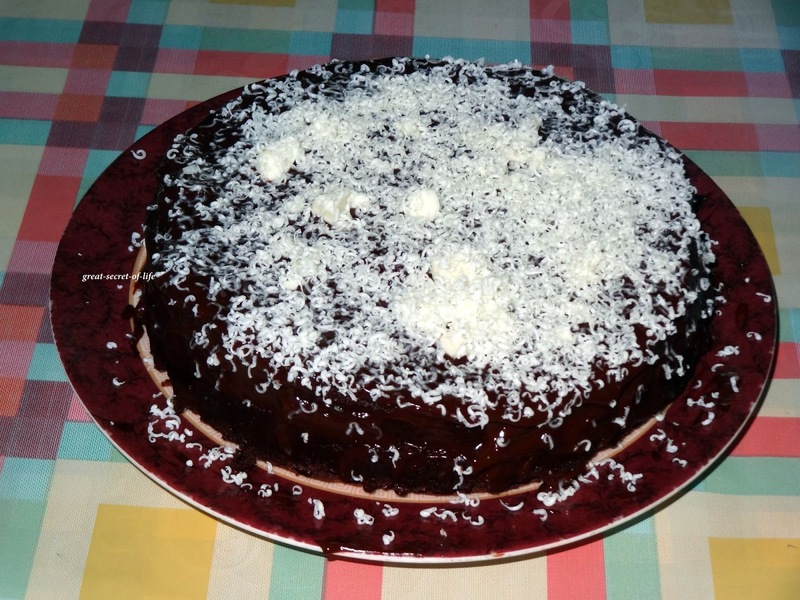 chocolate and coconut goes well, Bleated birthday wishes to your son. delicious bounty cake. 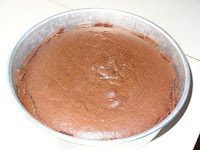 wow thats an super soft and moist cake :) looks so tempting !! 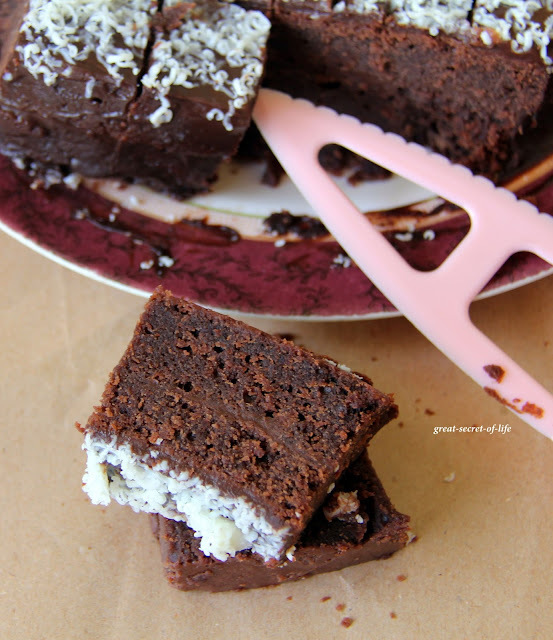 Lovely combo, cake looks super delicious. Congrats and thats a beautiful cake, looks simply delicious and very moist..